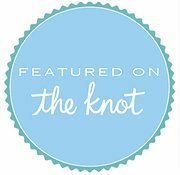 *These are great templates to work from – you may customize the vows if you would like to include family / friends / children, and add personal vows. Unity Sand – Blessing Stone no additional cost upon request. Professional Photographer ($355 Add-On): Includes 50-100+ edited, high-resolution photos that are sent via Download link. The photographer will shoot for one full-hour of the ceremony and formals afterwards. A print / copyright release are included to make your own prints. Typical turn-around time is about 3 weeks following the ceremony! *Pre-ceremony and Reception service are available for $225/Hour additional. Please Enter Your Custom Location in the box below. Please note additional documentation will apply. Please enter your vows in the special requests box at the bottom of the form. Includes the water station drink option. Please select an option from each section before you purchase this package. All unchecked sections must be completed. Email yourself or a friend the currently selected options. Check the box above to receive a FREE 30-Day Subscription to our exclusive Gulf Beach Weddings Guide (Tips, Planning Ideas, Helpful Steps & Budgeting, Find the Perfect Beach Location) and more! Subscription will total 3-Emails to the address provided.